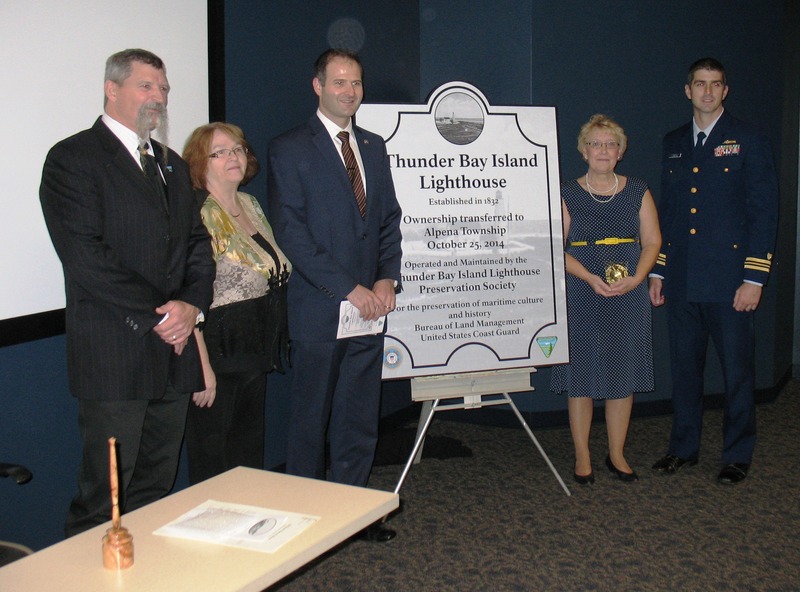 Ownership of the Thunder Bay Island Lighthouse was transferred from the United States Coast Guard to the Township of Alpena on Saturday, October 25 with a ceremony at the Great Lakes Maritime Heritage Center in Alpena. The transfer included 43.08 acres of Thunder Bay Island in addition to the historic structures. The property will be operated and maintained by the Thunder Bay Island Preservation Society in partnership with the Township. Representatives from the Bureau of Land Management, the United States Coast Guard, the Township of Alpena, the Thunder Bay Island Preservation Society, and Senator Carl Levin’s office were all in attendance. 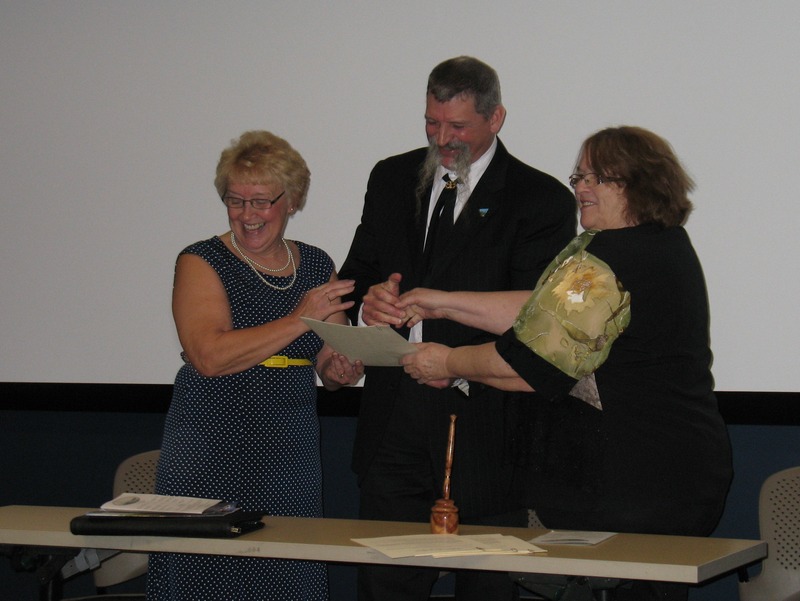 Congratulations to the Township of Alpena and the Thunder Bay Island Preservation Society!